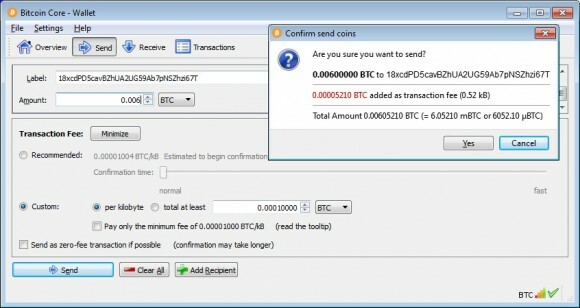 By default the sending of Bitcoins from your wallet is set to use a minimum of 10000 satoshi as a transaction fee in order for your transfer to be processed faster, for bigger BTC transfers the fee also increases. The problem however comes when you want to send smaller amounts of coins such as a few hundreds of satoshi where a fee of 10K satoshi is significant. 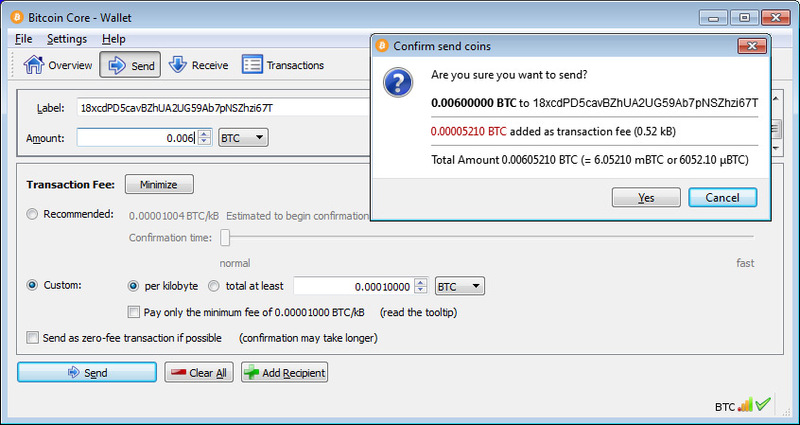 The latest Bitcoin Core wallet 0.10.0 comes with an advanced menu to control transaction fees and you can take advantage of that easy to use feature to send smaller BTC transactions with lower fees and still have them processed fast. You can of course try to send some coins without any fee, however that may result in very long time needed to confirm the transaction, so it is not recommended, especially if you are paying for something and want to receive the service or goods faster, so you might want to avoid doing that. One of the ways to save about half of the standard fee and still have the transaction processed very quickly is to use 10000 fee per kilobyte of transaction data, so normally you would pay about half of that for small transactions. It may take just a bit more time to process these transaction than with the normal 1K fee, but they are processed very quickly as well. Alternatively you can go for the minimum possible fee of 1000 satoshi for a transaction, but that could be slow as well, though it is still better than not to pay a transaction fee at all.